Mr. Wailes is renowned throughout Australia as a conductor, choral director, chorus master, lecturer and singer. 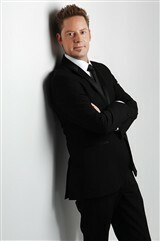 Currently, he serves as the music director and chief conductor of the Royal Melbourne Philharmonic. He has also been the artistic director of the Australian Children’s Choir since 1999 and conductor of the Melbourne University Choral Society since 1992. Additionally, he has served as the music director of the Box Hill Chorale since 1995. Throughout the past 20 years, Mr. Wailes has directed all of the major faculty choirs at various universities, including Monash University, the University of Melbourne and the Melba Conservatorium. In addition, he conducted at the Australian Catholic University for more than a decade, where he also lectured on conducting and choral studies. Overall, Mr. Wailes has conducted an impressive number of major works, including many Australian and world premieres. In 2010, he accepted an invitation to become a visiting guest maestro at Spain’s Escuela de Direccion de Orquesta y Banda. Mr. Wailes has many years of experience as a professional singer, having performed with various ensembles over the years, including Opera Australia, IHOS Opera, the Melbourne and Adelaide Symphony Orchestras, Past Echoes Early Music Group, and the National Youth Choir of Australia. He has also performed with numerous professional recording ensembles and liturgical choirs.